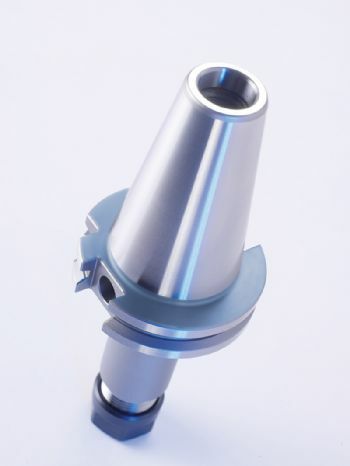 The family of face-and-taper tool-holders from Corsham-based Gewefa UK Ltd (www.gewefa.co.uk) now covers BT and DIN formats in SK30, 40 and 50 tapers. Designed for heavy-duty and very-high-speed machining applications, these tool-holders are available as collet chucks, shell mills, face mills, shrink-clamp units and hydraulic chucks, as well as in extended length and adapter formats. 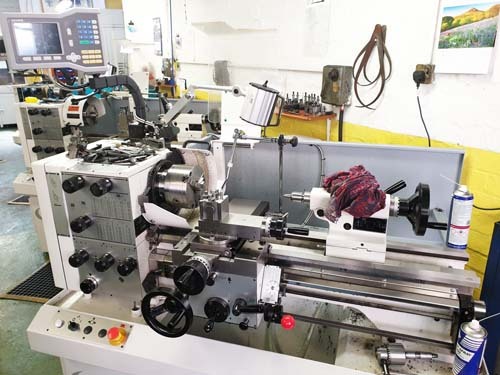 Gewefa says that machining using face-and-taper tool-holding technology comes into its own in metal-cutting applications where high side-thrust loadings are a possibility. “In such circumstances, the rigidity of the spindle/tool-holder connection can ensure longer insert life. These tool-holders offer two mating surfaces — the gauge line (taper) surface and the flange face surface; and because both contact surfaces between the tool-holder and the spindle are precision-ground, when the drawbar is activated, the dual contact creates a “rigid contact environment that is resistant to vibration and deflection”.